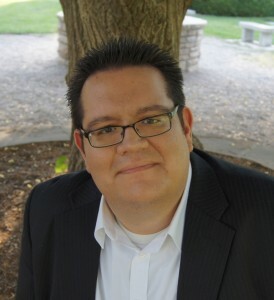 Please help me welcome Jason King to the blog today. Jason is in the midst of his blog tour, and agreed to stop by today to give us his take on successful first signings. I don't know about the rest of you, but I have nightmares about these things! 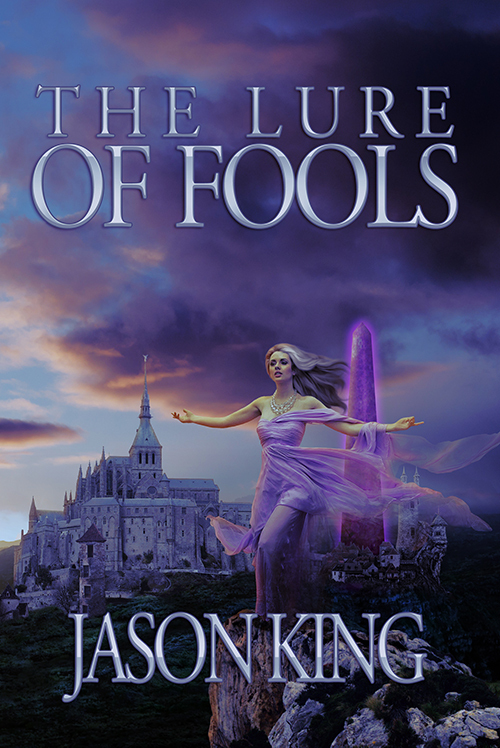 The Lure of Fools, Jason's NA Fantasy, was released on August 10, 2013 from Curiosity Quills Press. "Adventure is the lure of fools, and excitement glamour to the gullible. The siren song of the world is as music to the wanderer’s feet, but that dance leads only to the soul-less grave.” So Jekaran’s uncle has warned him. But that doesn’t stop him from leaping at the exhilarating chance to single-handedly rescue a beautiful woman from a gang of lecherous thieves. But the bored farm boy quickly finds that he is no match for the group of angry street thugs, and only escapes death by bonding a magical sword that grants him the strength and skill of a master swordsman. Unfortunately, a peasant wielding such magic is forbidden and punishable by death. Thus Jekaran finds himself a fugitive with his fate tied to that of the exotic and mysterious, Kairah; a fey woman who must deliver a dire warning to the king that, if heeded, could prevent the very extinction of humanity. Ten Rules to ensure a successful FIRST author signing. *DISCLAIMER: Most of this is based on theory, as Jason’s first REAL author signing won’t be until September 5th through 7th at the Salt Lake Comic Con. RULE #1: It is bad manners to leave the table when guests want to visit with you. So don’t drink a lot of liquids in the hour preceding your event and make sure to go to the restroom five minutes before your signing is set to begin. If you are uncertain as to whether or not you will be able to “hold it,” then I suggest wearing an adult diaper or bringing an empty mason jar. RULE #2: Be sure that the book you are signing for is actually written by you. Not doing so can lead to a lot of awkwardness, especially if the author whose book you are signing happens to be at the same event (I really am sorry Brandon Sanderson). RULE#3: Setting up a card table in a bookstore bathroom does NOT count as an official book signing event. It can compound the problem if you have set up in the wrong bathroom I.E. – A man in the women’s bathroom. Although the positive side of this is that you WILL get a lot of attention and possibly make it onto the local news. RULE#6: Make sure you are fully clothed, I cannot stress this enough. RULE#7: Do NOT hire hookers to pose as your groupies. People can tell, and cops (and your wife) won’t believe that you hired them just for your signing. RULE#8: Don’t discuss controversial hot-button topics with your guests. Such topics to avoid may include: The 1986 American Canadian War, the possible existence of Bigfoot, how many chucks would a woodchuck chuck, old man slippers, and the Harlem Shake. RULE#9: Keep your hands to yourself. Guests tend to react poorly to friendly swats on the behind or playful purple-nurples, especially the female fans. RULE#10: Do NOT threaten people or their loved ones with physical violence if they don’t buy your book. While some consider this just an aggressive business tactic, the sales usually won’t cover law suits or bail. Hope you enjoyed my list of rules. Check out my new fantasy novel, The Lure of Fools, published by Curiosity Quills Press. 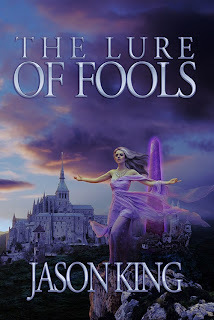 It was Jason’s love of fantasy epics that inspired him to write his own, and he has wanted to be an author since he was in the third grade, and has always been involved in some sort of storytelling project. Jason holds a Bachelors degree in IT Management, but plans to pursue a Masters in Creative Writing. He lives in Salt Lake City with his beautiful wife, and four adorable children. He likes chocolate cake donuts, playing table top games, and his favorite color is green. You can learn more about Jason at http://authorjasonking.com or via The Independent Author Network and Twitter. And don't forget to grab a copy of The Lure of Fools, now available at Amazon, Kobo, or Barnes and Noble. What a fun read! I particularly am glad you clarified rules 2 and 6! Wouldn't want to slip up with those! Best if luck with your book!